The criminal charge of fleeing a police officer is often added on to other criminal charges. For example, a driver who fails to immediately respond to a police officer’s signal to pull over may be charged with fleeing the police. Or, a person who runs from a house where the police have noticed suspicious activity may be charged with fleeing the police. A criminal charge of fleeing or evading the police may be either a misdemeanor or felony charge, depending on the circumstances. For example, fleeing the police in a vehicle is a felony charge, but eluding the police on foot is usually a misdemeanor. Even if the charge seems ridiculous given the specific circumstances, a criminal charge of fleeing the police carries serious and immediate consequences. Following an arrest for failing to respond or fleeing the police in a vehicle, your driver’s license will be automatically revoked for a period of one year. If for that reason alone, it is worthwhile to fight against any criminal charge that includes a charge of fleeing the police. 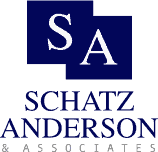 From offices in Salt Lake City and St. George, the criminal defense law firm of Schatz, Anderson & Associates, LLC, handles criminal defense matters for clients throughout Utah, including the communities of Provo and Ogden. Our law practice focuses almost exclusively on criminal defense, and our attorneys have more than 40 years’ combined experience in the practice of criminal law. Our lawyers have built a reputation as ethical attorneys who are also protective advocates on our clients’ behalf. We conduct an independent investigation into every client’s case, and we work hard to build a strong defense, rather than accepting the first plea offer put forward by the prosecuting attorney. We take seriously the goal of minimizing the negative consequences of an arrest, and we will do everything we can to create a positive outcome for our clients. This includes an aggressive defense against a charge of fleeing the police.